WHERE WE GO. WHAT WE FIND. WHO WE SEE. 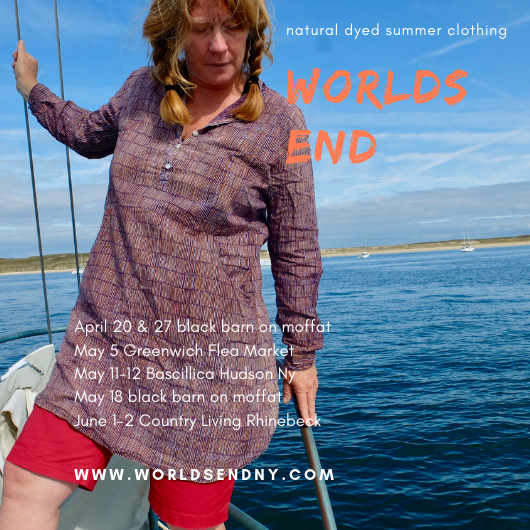 A BLOG ABOUT SAILING SLOW TRAVEL AND TEXTILES. NATURAL DYES AND SLOW TRADITIONS. a wonderful town filled with weavers carrying on. 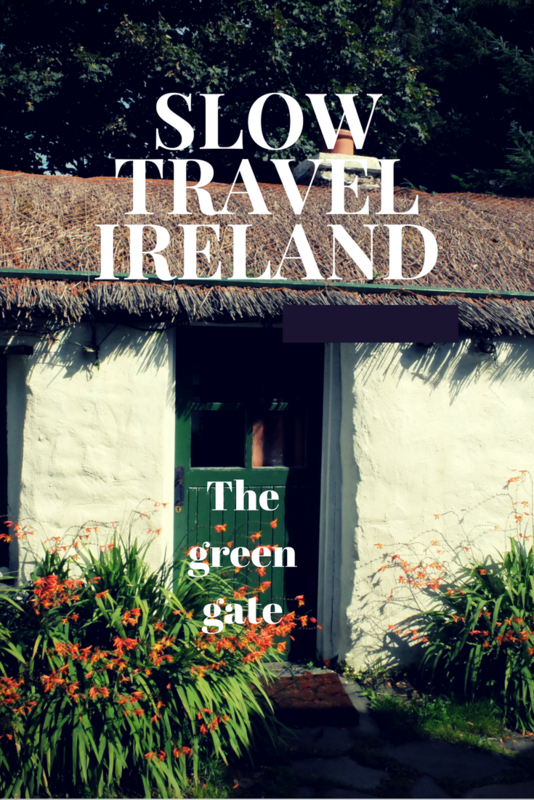 We loved the Green Gate in Donnegal County Ireland. After a transatlantic sail on our 37 foot wooden sailboat, we decided to head inland by car for a quick spell into the Irish country side. Paula, at the Green gate, knew how to take care of us. She cooked us an Irish breakfast by the peat fireplace and told us tales of the French writer who lived in Morocco but came to Ireland and lived in these small white cottages. WE Loved the rustic feel of the Green Gate and Paula who shared her whisky and her insider places to go list. Here at slabsides Burroughs lived close to the land with nature at his door step. He built his rustic cabin on a rock outcrop that looks out onto a rock wall. Below his porch stood a wetland bog that he drained. The good rich soil provided gilded age New York with celery and Burroughs a return to his farming past. Inside Burroughs built furniture from sumac & birch tree's. Over 100 years old I was surprised at there rigidity. As some one who dabbles in green wood furniture making I am impressed. The rough wood siding and birch bark logs complimented his rock fireplace. The simple candles and lanterns, with camping cookstove, hand made grater and hand loomed textiles are all as he left them. Not only could I live in this simple space but I am sure I would become a better person for it. It is impossible to to be separate from nature here. I have a hard time resisting anything that is hand loomed and indigo dyed. I can never seem to get enough KHADI when I am in India. My obsession of hand loomed textiles brought my sister & I to small country khadi cooperatives in the middle of no where. And when I couldn’t find the slubby old cottons of yesteryear ( hand spun on the chakra wheel) I would venture into peoples home. My sister was tolerant, not because of the khadi but because we meet such great people. I like the hand spun and hand loomed khadi. It is harder to find these days. Many people use electric spinning wheels to spin the cotton. The hand spun was used as a meditation & a resistance against English colonial rule. Hand Spun cotton is less controlled and it has a wonderful humanness about it. These blanket are patiently hand spun and loomed in India today. The revival of real khadi is back!